SPAR announce UCH Panto Sponsorship. 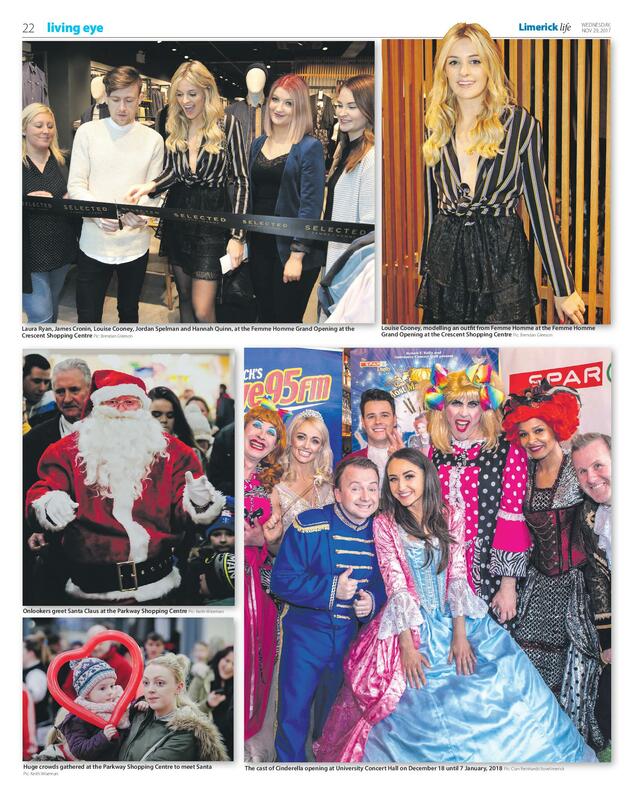 Mike Gleeson, SPAR with UCH Panto stars Myles Breen, Richard Lynch and Leanne Moore, Director of UCH Sinead Hope and BWG Regional Manager Barry Doyle; SPAR announce UCH Panto sponsorship of this year’s panto- Beauty and the Beast. 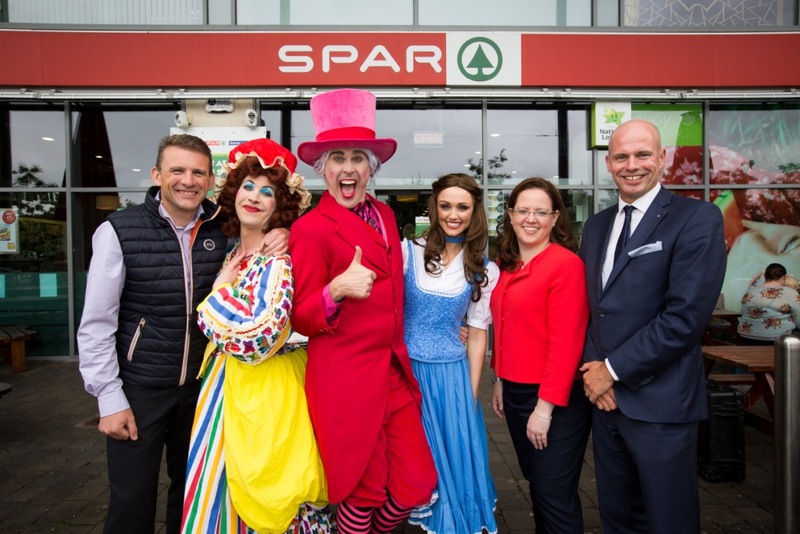 SPAR, one of Ireland’s largest convenience retail groups, has announced its title sponsorship of the 2016 University Concert Hall, Limerick Panto, Beauty and the Beast. Established in 2012 the University Concert Hall panto has gone from strength to strength and now enjoys capacity audiences, with almost 25,000 patrons attending 31 shows over Christmas 2015. With a star-studded line-up, stunning sets, costumes, lighting and the best chart-topping tunes, the UCH panto is now widely regarded as one of the best professional pantomimes in the country. SPAR has been operating in Ireland for over 50 years, and from the time it opened its first store in 1963, the brand has been a leader in Irish convenience retailing, bringing consumers the most innovative products and in-store offerings. The group, which is part of leading wholesale and retail company BWG Foods, includes SPAR for neighbourhood shopping and SPAR Express for forecourt shopping. With a presence in every county across Ireland, SPAR’s over 400 stores provide employment for 14,000 people locally. 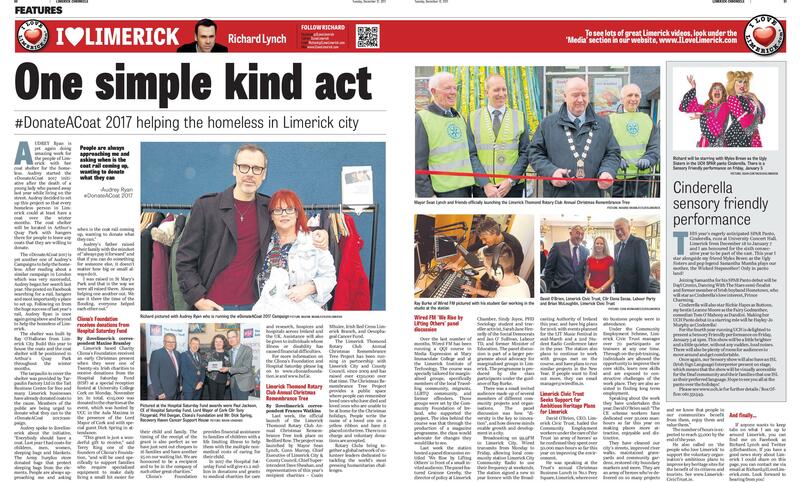 Mike Gleeson, SPAR together with Director of UCH Sinead Hope and BWG Regional Manager Barry Doyle join the cast of Beauty and the Beast. 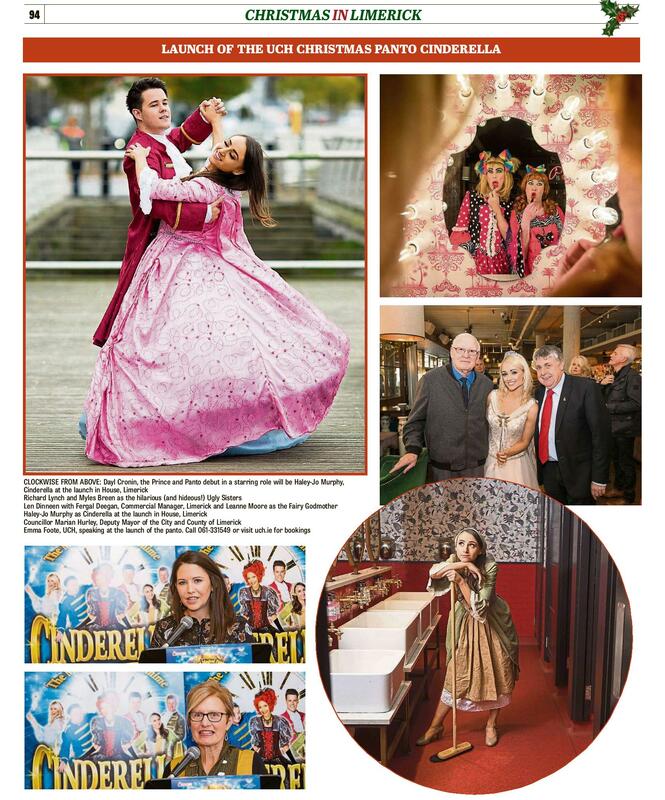 SPAR announce UCH Panto sponsorship. Speaking earlier Sinead Hope, Director of UCH said: “We are delighted to have such a well-established brand as SPAR as our title sponsor for this year’s Panto. 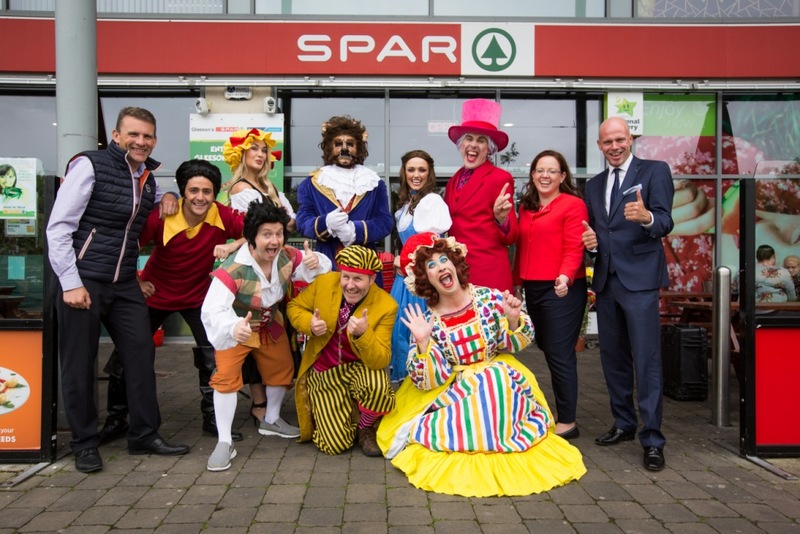 SPAR are synonymous with the highest quality service, products and local community engagement which we saw as the perfect fit for our Panto partner. 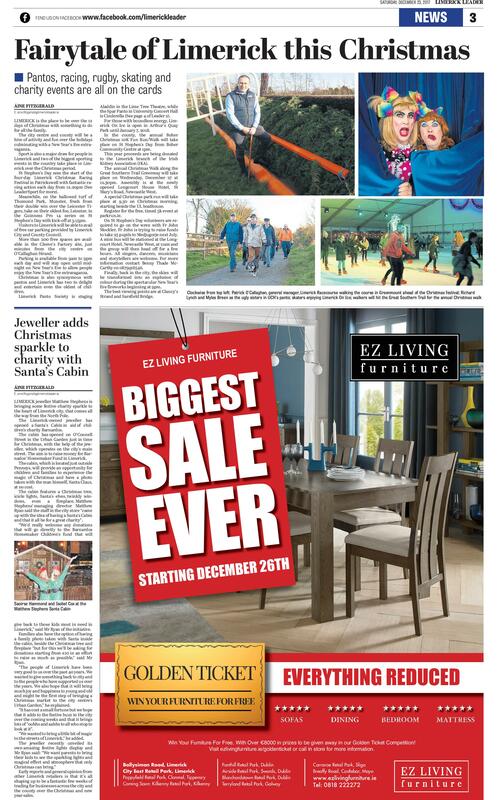 We look forward to working with the team there to promote and deliver another excellent show this Christmas”. Beauty and the Beast, is now on sale with the much-loved gang back for a hilarious take on a tale as old as time! while the Beast gradually changes his scary ways when faced with Belle’s beauty. Last year’s UCH Panto sold out, so don’t delay! Early bookers will get the best seats, at the best prices, and can cross it off the Christmas “To Do” list before they even start one! 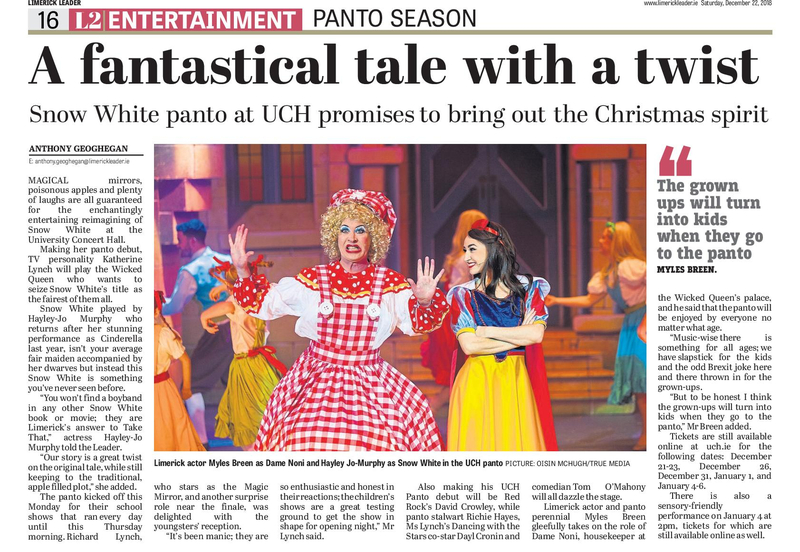 Click here to read more stories about UCH panto.